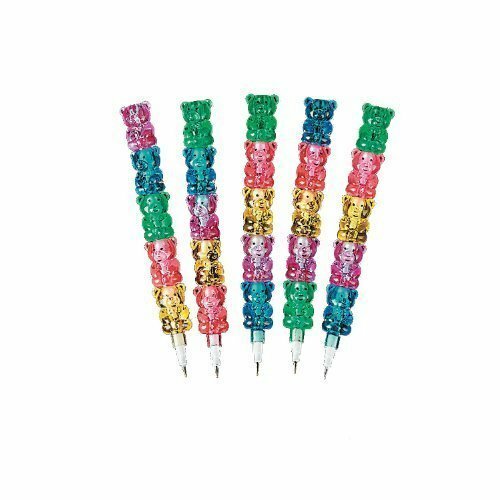 How high can you stack these colorful Stackable Plastic Bear Pencils? To the sky! Each package includes 12 plastic stackable bear pencils and 5 pencil leads measuring 4 3/4in tall.